According to the information available from the reliable sources, Ahmed Patel of Vansi arrived in Preston, Lancashire in 1957 and later on, from there, he moved to London. Soon after, in the beginning of 1958 Mastan Bangalawala of Tankaria followed the same trend. He also initially came to Preston and at a later stage settled in London. Vali Bhurawala was the next arrival in mid-1958. In the 1950s and 1960s most of Bharuchi Vahora Patels who migrated to Britain from India initially settled in various towns of either Lancashire or West Yorkshire i.e. Blackburn, Bolton, Dewsbury, Preston, etc. After staying in these counties for a short while, around the late 1960s many Bharuchi Vahora Patels, whose families were still in India, moved to London. By 1965, some families joined their husbands and settled in various areas of London such as Aldgate East, London West, Paddington and White Chapel. At this stage, almost all of the Bharuchi Vahora Patels were living in rented properties as tenants thinking that, if they had better opportunities of progress or if they felt that life was better in London compared to the north, they will settle down, otherwise go back to Lancashire or Yorkshire. As their financial status improved, they started buying their own houses in the Eastham, Forest Gate, Ilford, Leytonstone, Manor Park, Seven Kings and Stamford Hill areas of London. Today, Bharuchi Vahora Patels are found in almost all parts of Britain’s capital and nicely settled there with their businesses and families. During the period mentioned above London had an acute shortage of man-power in various sectors and, therefore, Bharuchi Vahora Patels who had moved to the Capital had no difficulty in getting jobs in the British Rail Main Line, Dagenham Car Factory, London Underground, Royal Mail, etc. Those Bharuchi Vahora Patels with qualifications in higher education found employment in Banks as well as in Government Department’s like the Inland Revenue and Social Services Departments. Some enterprising Bharuchi Vahora Patels soon started their own garment manufacturing factories. Others initially started their own businesses with small shops and market stalls. Today, in 2011, if we look at the picture, it appears bright in the sense that Bharuchi Vahora Patels are now the owners of big stores, restaurants and warehouses supplying various commodities and services. They have grown economically stronger themselves and are also making important contribution to the overall economy of Britain. Among the big businessmen of the Bharuchi Vahora Patel community in London are: Chamadia brothers, Chunia brothers, Salim Chamadia and Saleh brothers of Manubar; Saeed Gafoor of Vadva; Abdul Samad Meza family, Yakub Dalal, Seth brothers and Kothia brothers of Kantharia; Nekiwala and Khota families of Karmad; Ghogha brothers, Lola family, Akuji brothers, and Chhabu family of Nabipur; Ibrahim Desai, Dasu brothers, Mamuji brothers, Inayat Delawala, Janab family and Rangooni Brothers of Tankaria; Gulam Bajibhai of Dayadara; Amin Umarji Patel of Achhod; Ayyub and Ali families of Argama; Saleh and Udat families of Zanghar; Bhad and Bhaiji families of Umaraj; Dakri family of Valan; and Sadiq Bootwala and Mukardam Patel brothers of Palej. Bharuchi Vahora Patels of London have made remarkable progress in education due to the valuable guidance of the educated people who had migrated to Britain from India. A U Patel of Tankaria is one of them who moved to London from Lancaster to take up a job in one of the Government Departments in line with his educational qualifications. Later on, he served as a teacher and guided numerous youngsters of the Bharuchi Vahora Patel community living in London to professional careers. His daughters Bilkis and Kulsum are the first Bharuchi Vahora Patel female graduates and fully qualified trained teachers in Britain. They have both been teaching in primary schools in London for a number of years now. The honour of becoming the first female Bharuchi Vahora Patel teacher in the mainstream educational system in Britain goes to Bilkis. The rate of higher education is greater among the young people of today. There are professionals occupying high positions in London. Dr Alimuddin Zumla, whose parents were from Haldarva, is a professor in the Communicable Diseases Department of the Medical School of the University College London. He has earned great reputation as a researcher. 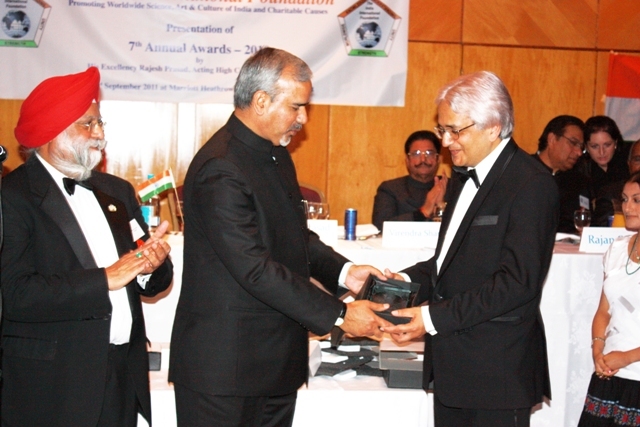 In September 2011, he was presented with the prestigious India International Foundation Award for Medicine of 2010 by the High Commissioner of India, Mr Rajesh Prasad, for his outstanding contribution and the research he carried out in collaboration with the World Health Organization in the field of communicable diseases like TB and HIV. Shamim Ismail Khunawala is the first Bharuchi Vahora Patel woman to obtain a Degree in Medicine from the prestigious Oxford University of London. Shabana Inayat Delawala and Shahzad Inayat Delawala, Junaid Tilu, the daughter of Shafi Pavadia, the daughter of Khushi Poshi and Bapuji (all from Tankaria) are also qualified doctors. The other doctors are Yusuf Patel Vadvawala, Irfan Abdul Chhabu, Anis Daud Booth, Shoeb Mohsin Bhad and Nizamuddin Gheesa. According to the current available information, there are at least 15 Bharuchi Vahora Patel medical doctors in London. In every locality where Bharuchi Vahora Patels live, there are masjids and madrasas. There are a few Hafiz (people who have memorized the Holy Qur’an). Mufti Mustufa Patel of Tankaria runs a Darul Uloom with an attached secondary school. Mr Hanif Khankhara runs a primary school in Forest Gate. Ilford Islamic Centre is also managed by Bharuchi Vahora Patels. 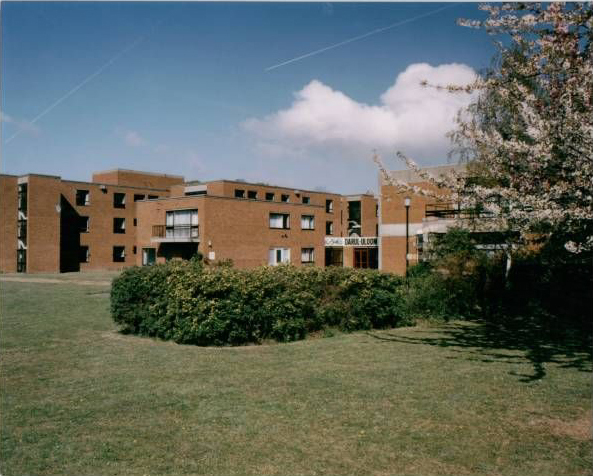 Bharuch Muslim Medical and Welfare Trust, UK was founded in 1993. Through its network of Trustees, they raise funds every year for the treatment of poor patients at the Welfare Hospital in Bharuch. Currently Mr Yakub Dalal of Kantharia is the President, Yacoob Mank of Tankaria is the Secretary and Ali Sitponwala is the Treasurer of this Trust. There are about 700 Bharuchi Vahora Patel families in London. The total Bharuchi Vahora Patel population is about 5,000. There are numerous organizations here. Well known amongst them is the Indian Muslim Federation, which was originally formed as the Indian Muslim Organization, Great Britain back in 1969 with the inspiration of Yakub Patel Sarodi(Advocate). 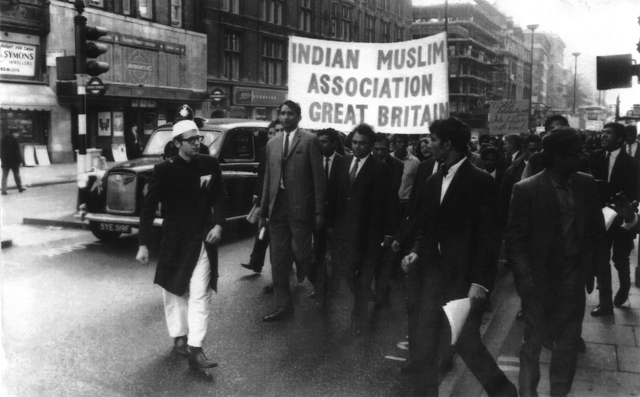 At a meeting held under his chairmanship in Hyde Park’s Speakers Corner on 5 October 1969, it was decided to organize a protest march and hand over a petition to the Indian High Commissioner to stop anti-Muslim riots in India. This event was reported by many British newspapers and also on BBC radio with echoes in the Indian Parliament. Since then, this organization has been making slow but steady progress and fighting for Muslim causes whenever the need arises. Most of the members of the Indian Muslim Federationare Bharuchi Vahora Patels. Ahmed Nekiwala and Saeed Chunya hold prominent positions in the organization. The young people form their own clubs and take an active part in the games of football and cricket. Cricket tournaments are held and trophies are given to the winning teams and individual players. League cricket club activities were first started by Haroon Chamadia, Sadiq Bootwala, Late Idris Chunya and Abdullah Chabu. There are some well-known league cricketers in our community. Bashir Khoda, Dilawar Khoda, Yusuf Bapuji, Sadik Banglawala, Yakub Karim, Iqbal Kayam, Majeed Kagdi, all from Tankaria, Ayub Valli of Vadva, Mustaq Chamadiya of Manubar, Babu and Bhana of Umraj have created history by becoming members of Plashet Park Bowling Club. They are the first Bharuchi Vahora Patels and Asians to become members of this club in its history of over 100 years. 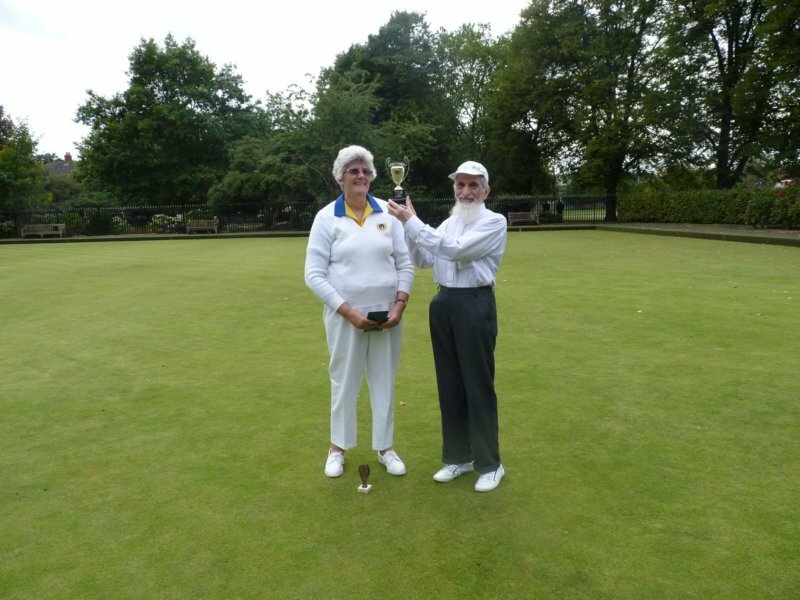 In a recent bowling competition, Bashir Khoda of Tankaria became the winner of the trophy. Bharuchi Vahora Patels of London are actively involved in politics. Among the councillors elected in the Newham Borough of London are Rustam Talati of Vorasamni, Firoza, the daughter of Ahmad Nekiwala of Karmad, Saleem Patel of Dahegam and Soyeb Patel of Mahudhala. Our younger generation has thus made inroads in the political life of this country and we hope and pray that one day they will find their way to the British Parliament as our MPs. Inayat Yusuf Banglawala of Valan is a prominent member and media secretary of the Muslim Council of Britain (MCB). He represents the MCB in talk shows and TV interviews and writes well researched and informative articles about Islam and Muslims in The Times, The Guardian and other national newspapers of Britain. He is also the founder President of Muslim4UK, which aims to encourage Muslims to take advantage of the democratic traditions of Britain and become more involved in the public life of this country. 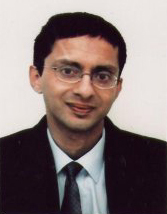 Riaz Siraj Patel “Paguthanvi” occupies a high position in the International Directorate of the Justice Department of the Home Office. Jigar Nabipuri has been associated with C B Patel’s “Gujarat Samachar” and Vipool Kalyani’s “The Opinion”, both published from London. Apart from individual achievements, the Bharuchi Vahora Patel community of London has also implemented collective projects. An example of this is the first Bharuchi Vahora Patel kabarastan (cemetery) in Romford, Forest Gate. This is managed voluntarily by Ahmed Kidiya, Ibrahim Namazi, Dawood Kamboliwala, Dawood Thava and Gulam Thakor Nabipuri who have been giving their services for quite some time. May Allah reward them for that. Elmbridge Road Cemetery, known as ‘Gardens of Peace’, is another Muslim cemetery serving the Muslim community in Greater London. It is a registered charity, offering a package of full-fledged funeral service which includes ambulance, paperwork, ghusl and kafan. Mehboob Patel is the Ameer and Cemetery Manager ensuring the cemetery is maintained to a very high standard and the service provided is second to none. In this brief write-up, I have not been able to mention all the prominent Bharuchi Vahora Patels of London. I apologise for this. I am grateful to my respected teacher A U Patel, my local friends Babu Kakuji and Yakub Karim for their valuable guidance, help and suggestions. I thank the editors Dr Adam Ghodiwala, Yacoob Mank and Siraj Patel “Paguthanvi” for encouraging me to carry out this survey of Bharuchi Vahora Patels in London and prepare this brief article for their book.